How do the units get to people for distRibution? How much of my money goes toward the cause? In short – all of it. The founders do not draw a salary, and EDM currently operates with an all-volunteer staff. Setup and administrative costs are paid personally by the founder and other board members. If hiring becomes necessary in the future all details will be fully disclosed. Our goal is to earn your trust through transparency and honesty. We know you have many choices for your charitable donations. We hope you will join us because we are committed to this endeavor with our own resources and will always use the resources entrusted to us as effectively and efficiently as possible. How can people power the devices in remote areas? Most of our recipients are connected to a power grid. In the United States the units plug into a standard 120v outlet. A simple travel converter makes it possible to use our units virtually anywhere in the world. For those not connected to a power grid, we offer a solar-powered option. This lets us take our units anywhere in the world regardless of available infrastructure. These units cost twice as much as our standard units, but they offer unparalleled versatility. How many countries are you serving currently? As of May 2018 we have units in ten countries. What does a $150 donation Accomplish? Through special purchase arrangements with EP purification, we are able to purchase one mp-1 unit for $150. This unit can supply clean drinking water for up to 50 people for over three years. How can I support EDM in a non-monetary way? First, by praying. The support of our prayer team means more than anything to us. 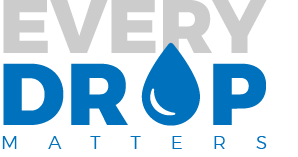 Secondly, tell your friends and family about us to elevate awareness about the need for clean drinking water around the world and how this simple affordable technology can meet that need. ​Founded in 2010, EP Purification is located in Champaign, Illinois (US) and provides a wide range of ozone system products as well as technical and consulting services. An international office of EP Purification located in South Korea provides sales and technical services to customers throughout Asia. Our state-of-the-art micro-plasma units generate ozone by breaking apart oxygen molecules found in normal air. Ozone is a powerful oxidizing agent and it destroys harmful bacteria and most viruses on contact. We bring the ozone into contact with these pathogens by bubbling it into the water we wish to treat. In fairly clear water, our unit will purify about 1 liter per minute. If the water is cloudy, we recommend two minutes per liter. The unit may not remove all cloudiness from the water, but it will kill the harmful pathogens. For clearer water in these cases, we recommend combining our system with a sand or gravel filtration system. My organization or church wants to get involved. How can we? We would love to be included on your prayer chain, and we would appreciate you letting your members know about the work we do. If you would like to host a fundraiser, we would be happy to assist with that as well. What if I want to purchase a water purification unit for personal use? You can! Please call 217-693-7950 or visit https://www.ep-pure.com/products to get a unit of your own.